Inspired by his book Future Practice, we talked to Rory Hyde about the social and public relevance and the required recalibration of architecture. Automated design processes, critique on the profession’s culture, DIY-design and wider trends put pressure on the social and public relevance of the architect. On the other hand, architects are crossing boundaries, taking up new roles and experimenting with other approaches, while other professionals reinforce the importance of architecture. Melbourne-based architect, researcher and broadcaster Rory Hyde explored these developments in his book “Future Practice“, by interviewing a wide range of people that observe and practice new strategies for making cities work. Failed Architecture’s Mark Minkjan talked to him about these individuals, the architectural profession and other forces that shape our surroundings. Will architecture dissolve into other professions or will it be able to recalibrate itself? First off: in the book you sometimes talk about ‘the architects’ and occasionally about ‘us architects’. Do you see yourself as an architect or as an observer of architecture? I certainly consider myself one of ‘us architects’, in that I’ve studied architecture and worked for various offices designing buildings*. But equally my practice includes writing, teaching, speaking and even hosting a radio show, all roles that require a step back from the day-to-day reality to operate more as an observer. So the book is informed by both those perspectives, on the one hand it’s meant to present a meta-view of the architectural profession and where it might be heading, and on the other it’s my own desperate searching for a more sustainable practice model for myself. I’m definitely on board this sinking ship! Technically I am not an architect however, as I have not registered. You interviewed a wide variety of people, covering many topics, but what do you see as the central message of Future Practice? To put it very simplistically, the central message is that I believe architecture can reclaim some social and public relevance by expanding its toolkit of strategies. 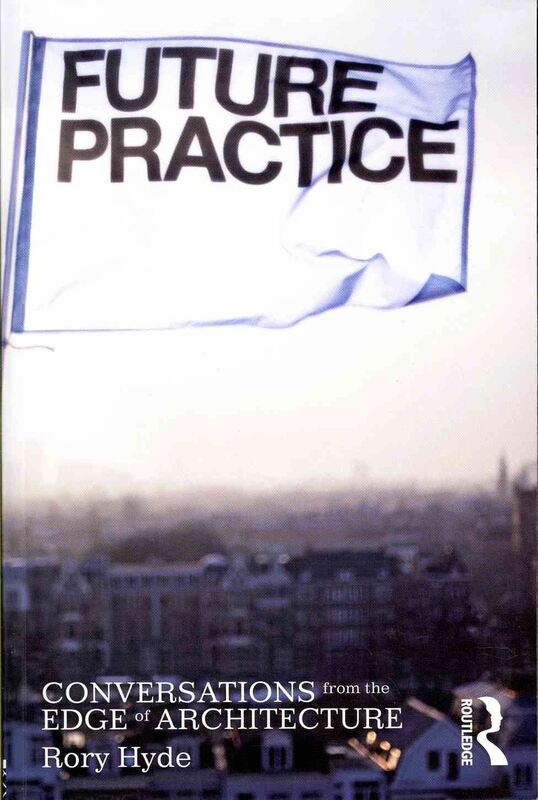 In my interview with Bruce Mau — an outsider, importantly — he argues that architects “spent so much time policing the fence that you forgot to open the door.” In other words, we constructed such an exclusive professional fortress of accreditation, institutes, awards and even our own discourse, that we lost touch with other people and adjacent disciplines and what we could learn from them. So in the book I speak with historians, activists, educators, community facilitators, publishers, artists and other designers from outside of architecture, to assemble a more diverse set of strategies for how we might shape the city. To use a specific example, Camila Bustamante is a graphic designer based in Lima, Peru, whose work is focused on public transportation as a human rights issue. She produced a series of posters which highlighted the unfulfilled promise the city made to the people to construct a metro system. The simple graphic interventions in public space put the issue of the metro system back on the agenda, and now, incredibly, it’s under construction. There are of course many factors that come into play in a decision like this, but I believe it stands as a great example of how the most small-scale intervention can have a massive infrastructural result. 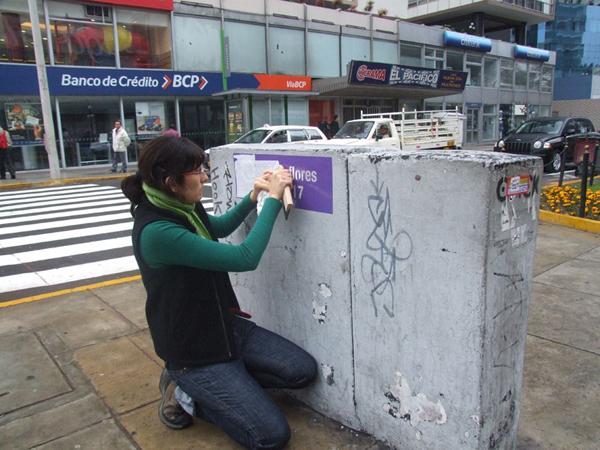 So to return to your question, the book proposes that strategies such as Camila’s public poster campaign, ought to be wrapped into the set of tools that an architect deploys. This may seem like a leap, but what is architecture if not a set of strategies for shaping the future of the city. We are currently witnessing a period of restructuring in several fields, from economics and politics to design and society. You propagate a recalibration of architecture as well. What do you consider the most urgent reshaping or refocusing that architecture needs? I think that architecture needs to redefine what it can offer society at large. The public see us as the ones only interested in formal novelty and fussy detailing, making everything expensive. As an example of how poor the regard for architects is here in Australia, in the context of a debate about Barangaroo — the largest development site in Sydney — our former Prime Minister Paul Keating recently claimed that architects “know more about kitchen amendments than the rest of us. That’s about the limit of their expertise.” He’s literally telling us to get back in the kitchen, like a 1950s housewife! Despite our training, skills and experience in thinking through questions of development, strategy and urban vision, our opinions are seen as irrelevant in this case. However, we must admit there is a kernel of truth in Keating’s criticism. Why should we be consulted on how to equitably build a city when we’re so aligned with the interests of developers? While many architects are comfortable operating as strategic integrators and practical visionaries, reframing the profession is more than about marketing and perception, we also have to change the way we operate to meet in the middle somewhere. What is the most worrisome development you have seen in architecture lately? Despite all I’ve said so far, I’m not that worried. I’m pretty optimistic actually. There’s a real momentum building toward a new kind of practice which is civically engaged, diverse and relevant. It’s exciting to be a part of it, and I’m enthusiastic to see where it goes next. 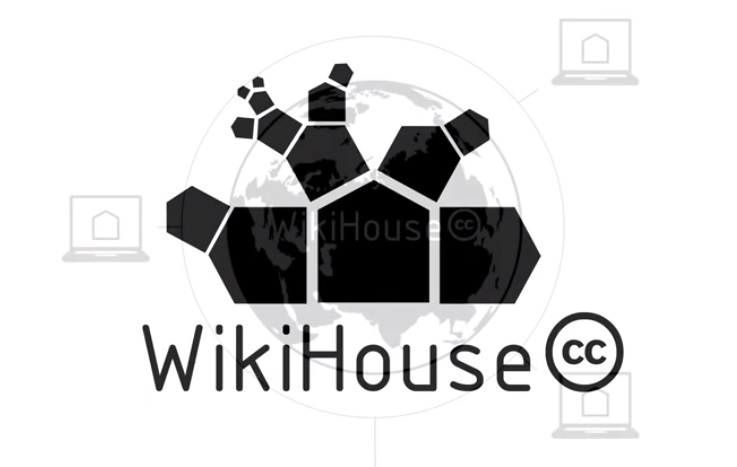 WikiHouse by 00:/, an ‘open-source construction set’, allowing anyone to design and construct houses. In your book, Indy Johar of 00:/ says: “whether we do buildings or not is that it’s the wrong way of framing the discourse. [..] The focus is the outcome, and we happen to do built environment if that’s what’s required”. Dan Hill says something similar in the introduction of the book: “architects are mainly perceived as working to create buildings in urban spaces, yet buildings are not why cities exist; they are simply a side-effect of cities”. Do you think of the ideal type of architect as a designer that is not primarily concerned with the building? This is a tricky one, because it’s hard to draw a line between expanding the idea of an architect, and abandoning the ship altogether. I think the key word in your question is primarily. I think the trick is to see buildings as one part of a much broader strategy for social change, rather than as an object in space and therefore an end in itself. This is what Indy is saying, “we happen to do built environment if that’s what’s required.” And buildings are quite often required. When done well, for the right reasons, and informed by the right research and understanding, they can provide an resource like no other, and have an incredible capacity to embed a positive social pattern into a place over a long period of time. Few other disciplines can do this, and that’s the power of architecture. But as your site has so thoroughly documented, architecture quite often fails at this, and instead imposes a negative social pattern on its occupants, with far-reaching consequences. As Wouter Vanstiphout explores in his lecture ‘Blame the Architect?’, the causes for architecture’s failure are often beyond the architect’s control, such as in the case of riots in post-war housing estates in France and the UK. So I would argue the trick is to unite these two ideas. As a profession we need to maintain a focus on building, if only as the most effective means of embedding social effects, but in order to ensure that these effects are positive, we need to inform our design decisions with a more expanded set of strategies, such as those explored by Indy and 00:/. One of my heroes for this kind of thinking is Denise Scott-Brown. Her application of historical, ethnographic and sociological thinking to urban design and architecture is still incredibly radical, but has been completely overwhelmed by Venturi’s obsession with signs and language. There’s a good book there, one day. Which protagonist in Future Practice is closest to the ideal type architect that we need in 2020? In presenting a wide spectrum of potential futures of design practice, I tried not to prioritise one over another, so I’d say the ideal type is going to inevitably be a hybrid of a handful of roles. You want the generalist approach of Studio Gang, combined with the ecological thinking of Natalie Jeremijenko, the whole earth perspective of AMO, and the activist attitude of Camila Bustamante. I could go on, the point is that the various roles presented in the book aren’t exclusive, but represent a particular strategy that a practice might adopt for a particular project or in a particular situation. One of the themes that runs through many of the interviews is the need to be pro-active and to make your own opportunities. It’s been called ‘unsolicited’ architecture, something I’m interested in also, and I think that’s more attitudinal rather than a strategy or type or practice organisation. With developments in parametric design that at some point could largely automate design processes, and planning processes being carried out by large consultancy firms as you discuss with Todd Reisz, I can’t help but question the future relevance of the architect. On the other hand, Future Practice expresses how architects look beyond conventions and how ‘outsiders’ engage with architecture in innovative ways that contribute to cities. This leaves me slightly puzzled. Do you have high hopes for architecture as a profession? Or do the people you talk to illustrate that the profession will dissolve into other professional fields? Good question. You’re right, in that these two tendencies seem to be reinforcing the dissolution of the architect as it stands today, and I agree that’s potentially a big problem. We certainly can’t fight these tendencies — professional protections will only further marginalise us — so we need to be able to articulate our own unique value within these forces.